The Duggars aren’t the only big family in America. 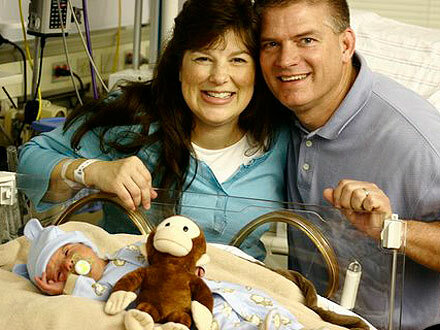 Gil and Kelly Bates just welcomed their 19th child, a little boy, Jeb Colton, who weighed in at 7 pounds, 8 ounces. And, like the Duggars, they are willing to welcome more. Currently, all of the Bates children live at home: Zach, 23; Michaella, 22; Erin, 20; Lawson, 19; Nathan, 18; Alyssa, 17; Tori, 16; Tracey, 15; Carlin, 13; Josie, 12; Katie, 11; Jackson, 9; Warden, 8; Isaiah, 7; Addalle, 5; Ellie, 4; Callie, 2; Judson, 1; and now little baby Jeb. 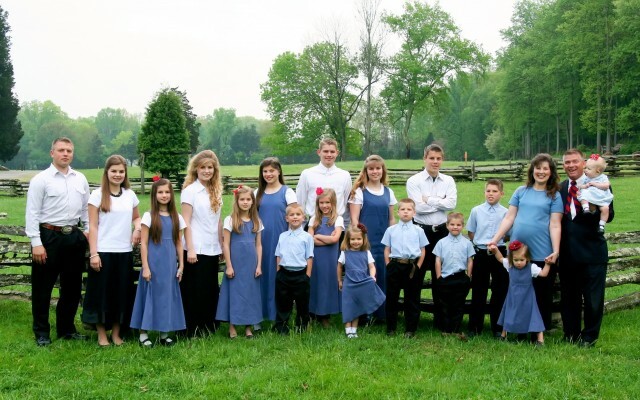 The Bates actually know the Duggars and have even appeared on their TLC show, 19 Kids and Counting. In fact, the Bates family will have their very own one-hour special, set the air on March 27th on TLC, right after the 19 Kids and Counting Finale. But while the Duggars and the Bates have many similarities – both families have 19 children, they both live debt free, both families homeschool their children, both have strong Christian values, and both families divvy up chores – there are many differences between the two families as well. The Bates and the Duggars may have the same number of children, but Kelly has been pregnant more times than Michelle (the Duggars have two sets of twins, the Bates do not have any twins). The Duggars divvy chores by jurisdictions. The Bates rotate chores and allow the children to volunteer for the chores they do. I guess we all have our level of what we can handle, and there is one thing that I know for certain when it comes to the Duggars and the Bates – they must really love children! Congratulations to Gil and Kelly Bates on the new arrival and good luck on the show! We look forward to seeing it.